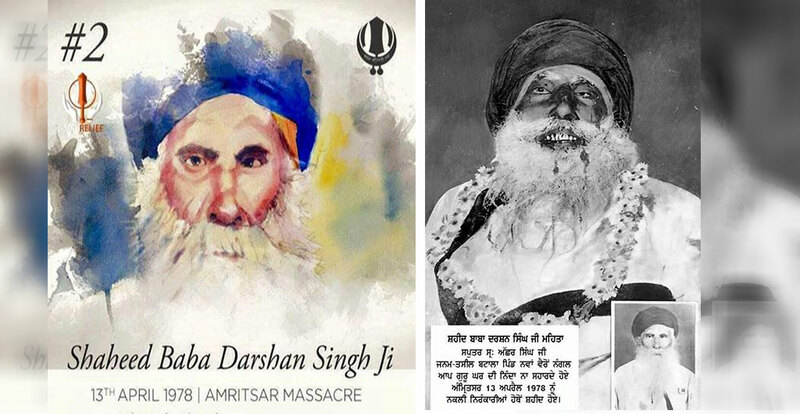 Darshan Singh was born in the village of Nawan Vaironangal in Batala, in the house of Sardar Achher Singh. His mother and father were both Amritdhari and Darshan Singh also took Amrit at the age of ten. He was exceptionally literate in Gurmat and an accomplished Akhand Paathi, even though he’d received little academic education. Baba Darshan Singh’s daily Nitnem included Asa Di Vaar and Sukhmani Sahib. He remained single all his life and lived at Cheleana Sahib for twenty years. He was present when the Shaheedi massacre took place there. Then, Baba Darshan Singh stayed at Gurdwara Guriana Sahib, the historical Gurdwara of the sixth Guru in Vaironangal, where he served as a Granthi and his seva included teaching many people Santhiyaa from Guru Granth Sahib Ji, thus helping to establish a while new generation of Akhand Paathi’s. After spending about ten years in seva at Guriana Sahib, he moved to Dera Mehta. Here, Sant Kartar Singh Khalsa appointed him Jathedar of the Dera. He contributed his pension to the Dera until his final days. At the time of Shaheedi, Baba Darshan Singh was aged over sixty-five years old. Previous post 1984 sikh genocide and present days drug abuse in punjab.